Within our Congregation; after over 50 years of Scriptural study, and studying all of the major denominations of the established churches; we chose to begin a Church to operate, as close to the directions; given in God's Holy Word; as possible. It is obvious to anyone; that the present churches are failing, Sin is gaining, and a change is necessary. A key error found in nearly all churches is they teach opinion. They add to, and take away from the Word of God. They try to shorten God's word of 66 books to a few short "Fixes". More importantly; they teach Man's doctrine of Salvation; instead of God's. Where in the Bible is an example of a one minute Prayer; saving anyone? We know the scriptural way, and it is quite "different". How did we find it..., We read! Isaiah 28:9, Whom shall he teach knowledge? (me, and you) and whom shall he make to understand doctrine? (me, and you) them that are weaned from milk, and drawn from the breasts. Isaiah 28:10, For precept MUST be upon precept, precept upon precept; (a subject with all related subjects) line upon line, line upon line; here a little, and there a little. Few, if any, established churches teach this way. If people would read, and understand all the words of God on each subject, they would leave their church, and seek a better one . . . , if they could find one. We are growing toward that goal everyday. WE ARE SMALL; BUT WE ARE GROWING. ALL ARE WELCOME ! Please read through our web site and learn just a few different precepts, or subjects, or doctrines. We will always seek all of God's Word, not just a few out of context ideas; or the ideas of some Central powerful Organization; that differs from each other over most of the essential doctrines. Learn how following God's Word will also, save money, pain, suffering; while building confidence in what you believe. 1 John 2:3, And hereby we do know that we know him, if we keep his Commandments. 4th verse) He that saith, I know him, and keepth not his commandments, is a liar, and the truth is not in him. Many other doctrines, and teachings of God are waiting for you. You have been (without intention of intended malice) confused (Colossians 2:8), and led astray long enough. Even the carnal things of life; that God, and Jesus talked about to make your life better, healthier, more joyful, and longer; is waiting for you in the right Church. Come learn what God really has to say. Physical Address: "1901 County Road 419, Oviedo, Florida 32766 "
If you are using a GPS to Visit the Church; Please put in 1845 C. R. 419. 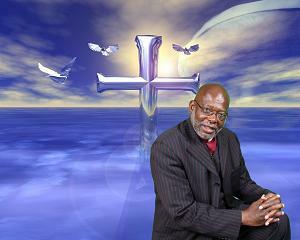 Copyright © 1999-2013 by Mount Zion Commandment Keeping Church of the First Born of Central Florida. All rights reserved.